With 8 people in our house, bread can get VERY costly. And while I can make many types of breads and rolls, sometimes it's much easier to buy specialty buns. Since they are so expensive, however, I often substitute hot dog buns when they are on sale. At $1 per package, it's an easy way to stretch the budget and get a few sandwiches into our meal plan. 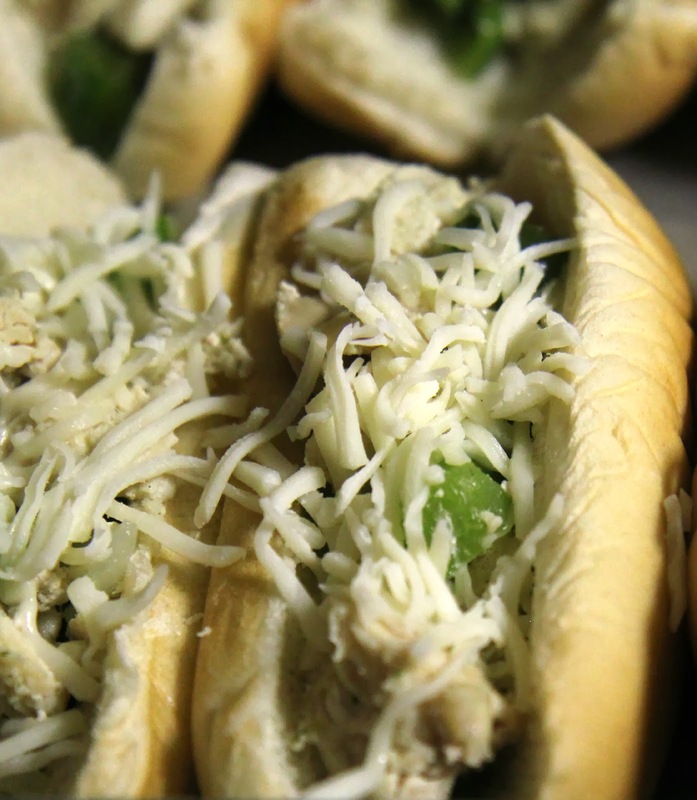 Open up your hot dog buns, fill each one with the chicken/veggie mixture, and top with shredded cheese. Broil until the tops are melted and the bread is crispy. 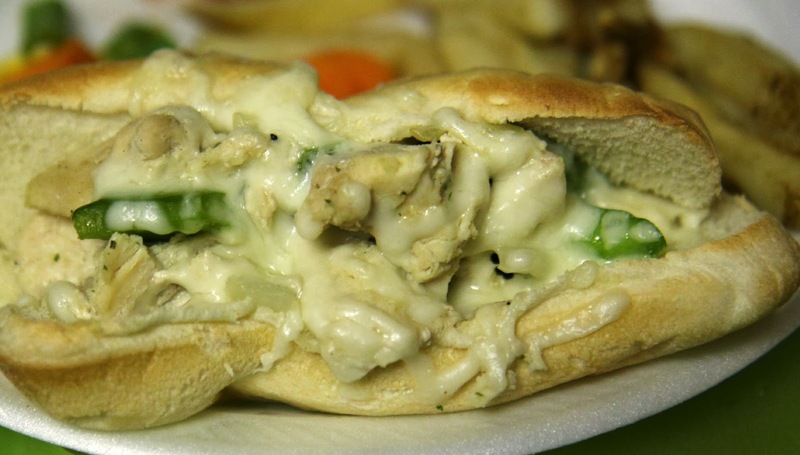 Serve right away to keep from serving "soggy" buns. What about you? What fun recipes will you be creating this week?